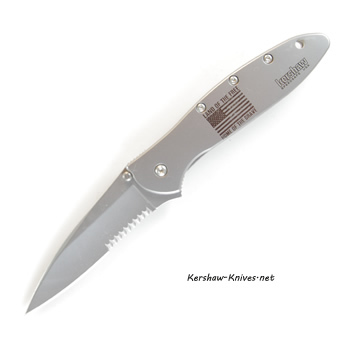 This Kersahw Leek model 1660ST exhibits American Patriotism in its finest form. 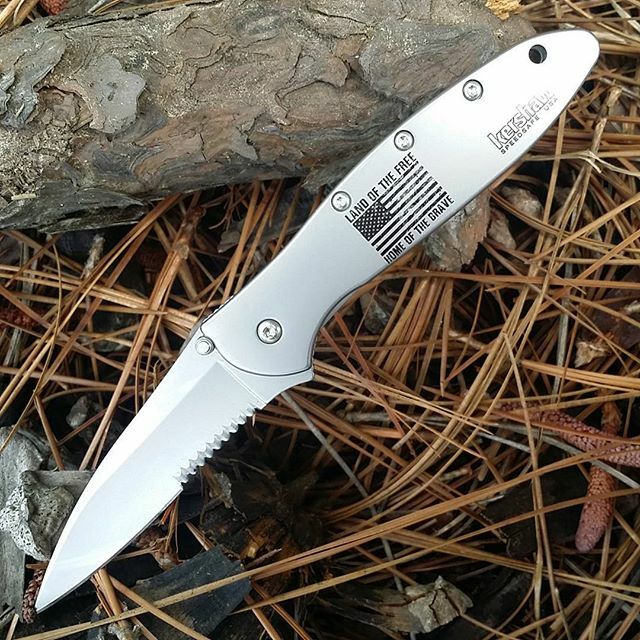 The deatil of the engarving on this knife is just amazing. On the handle is featured an embattled and proud American Flag with the words, LAND OF THE FREE - HOME OF THE BRAVE, above and below the flagged. This stainless steel has been lapped with the engraving several times to the point where the color is annealed into the metail. It will never come off.